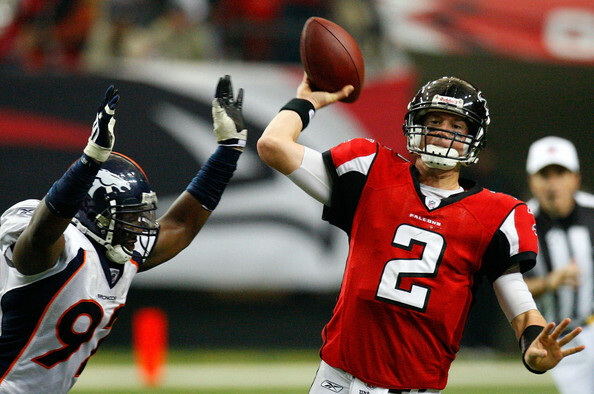 Start’em: Matt Ryan vs. TB – After getting shut out in an week one match-up against the Pittsburgh Steelers, Ryan has been impressive throughout his next six games, posting 1462 yards, 12 touchdowns and only four interceptions. He has been particulairly impressive at home, where he has recorded 797 yards, 7 touchdowns and only 3 interceptions in three games. Expect his strong play within the Georgia Dome to continue in week nine when he takes on the Bucs, who have given up 14 passing touchdowns thus far through seven games. Sit’em: Ryan Fitzpatrick vs. CHI – Fitzpatrick has been great since being handed that starting job in week three, but he stumbled somewhat last week against the Chiefs, throwing for only 233 yards, one touchdown and one interception. Expect his struggles to continue this weekend when he takes on a Bears defense that has allowed only four touchdowns through the air thus far this season. Start’em: Matt Forte vs. BUF – Matt Forte has been a tough guy to gauge this season, posting huge numbers one week, and terrible numbers the next. Looks for week nine to be another big week for the third-year back when he takes on the Bills and their 32nd-ranked run defense. Buffalo has allowed a league worst 188.7 yards per game against on the ground, and with Cutler struggling in recent weeks, look for the Bears to lean on their running game, which should work out great for Forte owners. Sit’em: Jahvid Best vs. NYJ – Best got off to a hot start in his rookie season, posting 268 total yards and five touchdowns in his first two games. He has since put up a disappointing 345 total yards and zero touchdowns over the course of his next five games while dealing with injuries. Don’t expect him to return to his early season form in week nine when his Lions take on a Jets team that has allowed only two rushing touchdowns all season. Start’em: James Jones vs. DAL – With Donald Driver expected to miss Sunday’s game against the Green Bay Packers, James Jones should be called upon to fill in for him, and against a Cowboys defense that has allowed 15 touchdowns through the air (including four last week to the Jaguars), we wouldn’t be surprised to see Jones put up some rather impressive stats. Sit’em: Chad Ochocinco vs. PIT – In case you haven’t noticed, Ochocinco has been a complete bust at the wide receiver position this fantasy season, recording only two touchdowns through seven games. Don’t expect him to turn things around against a Steelers defense that has given up only six passing touchdowns through seven games thus far this season. Start’em: Jacob Tamme vs. PHI – Tamme was likely one of the hottest pick-ups off the waiver wire this week, and he is also one of the hottest starts of the week. Peyton Manning loves going to his tight ends, and with Tamme now the go-to guy at the position, he should see a great deal of targets, especially in the red zone. Sit’em: Brent Celek vs. IND – Celek has not performed particularly well thus far this season, especially during games with Michael Vick under center. With Vick expected to resume his duties as the starting quarterback, and the Eagles taking on a Colts team that has allowed the fewest fantasy points to opposing tight ends, look for Celek to have another quiet game this Sunday. Start’em: Dan Carpenter vs. BAL – Over the course of his last three games, Carpenter has scored a total of 43 points. As the team’s top offensive threat at this point, we advise sticking with Carpenter this week against the Ravens. Sit’em: Connor Barth vs. ATL – He may be playing indoors, but that doesn’t mean we should expect Barth to have a favorable stat line. The Falcons have allowed fewer points to kickers than any other NFL team. Start’em: Packers vs. DAL – If last week was any indication, playing against the Cowboys may be quite the favorable match-up for opposing defenses as long as Jon Kitna is playing quarterback. With a solid secondary, and players that can get to the quarterback, look for the Packers defensive unit to impress once again on Sunday. Sit’em: Buccaneers vs. ATL – The Bucs scored an impressive two defensive touchdowns last weekend, but they also gave up an embarrassing 35 points to the Arizona Cardinals. They could have a repeat performance this weekend (minus the two touchdowns) as they take on the Falcons, whose offense has been rather potent at home.